It’s a busy week in diabetes. Today I’m at the Roche Educator’s Day (RED) in Perth, which is a day specifically for Diabetes Educators held annually on the day prior to the ADS-ADEA Annual Scientific Meeting. The reason I’m here? I’ll be speaking in the final session of the day, which is the People With Diabetes Panel Discussion, kicking off at 4pm WST. I am told that this is the first year that there will be a session driven by consumers, as a result of feedback from attendees at previous events. What better way for Diabetes Educators to learn than gaining insights from actual people who have diabetes? I’m live tweeting using #RED2017 on Twitter, so be sure to follow along for live updates from myself and other attendees. Then from tomorrow through until Friday, the Australian Diabetes Society (ADS) and the Australian Diabetes Educator’s Association (ADEA) are holding their joint annual scientific meeting right here in Perth. The conference brings together diabetes healthcare professionals, researchers and people working in the diabetes industry. Obviously I had been eyeing the ADS-ADEA event this year, given that it was being hosted right here in my hometown of Perth. However given the cost of registration, there was no way that I could justify going. The idea is that we will be providing a voice from the community, for the community, and hopefully lead the push for greater consumer involvement at future diabetes conferences. 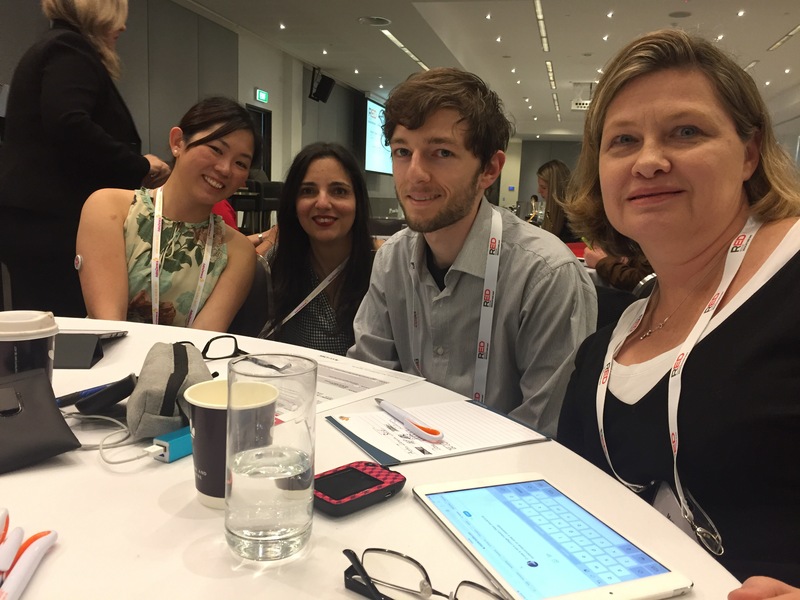 I really do thank Diabetes Australia for making this initiative happen, and hopefully this is only a bridge towards larger consumer involvement at future diabetes events. Disclosures: Roche Diabetes Care Australia have covered my registration and travel costs to attend Roche Educator’s Day. I am also being paid an Honoraria for my giving up my time to speak in the People With Diabetes panel discussion. There is no expectation that my participation will bind me to a particular view of Roche, nor is there any expectation that I will blog or Tweet about the event. 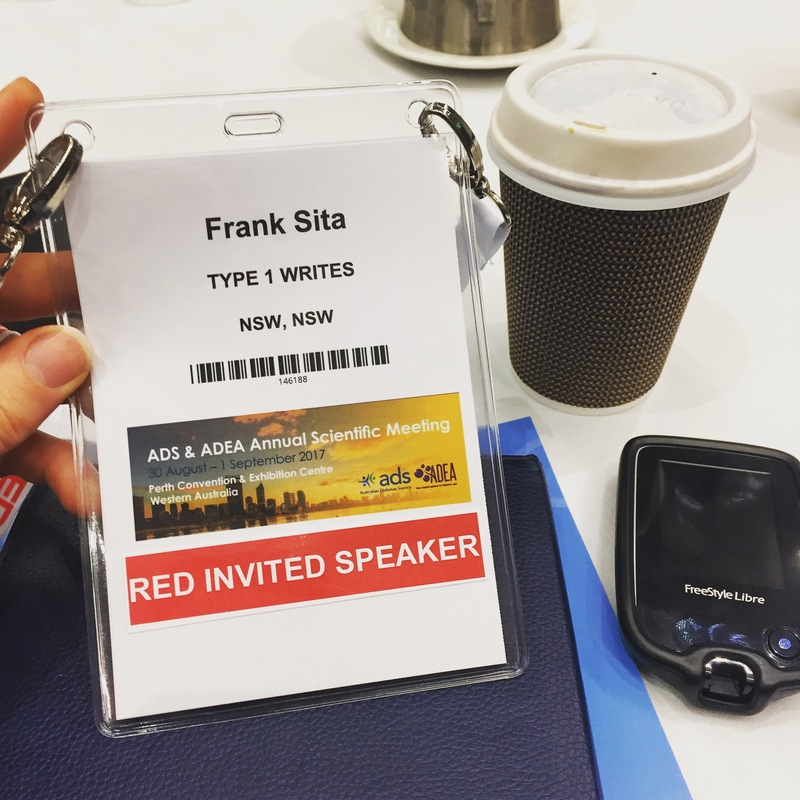 Diabetes Australia have provided me with a media pass to attend the ADS-ADEA conference from Wednesday through until Friday, with the view that I am interested in attending and delivering my own honest insights to the wider diabetes community. Indeed I am! How many healthcare professionals ask you “how are you going” during an appointment? Not how are your numbers going. Or how your diet is going. Or, how are the number of hypos you are having each week going. 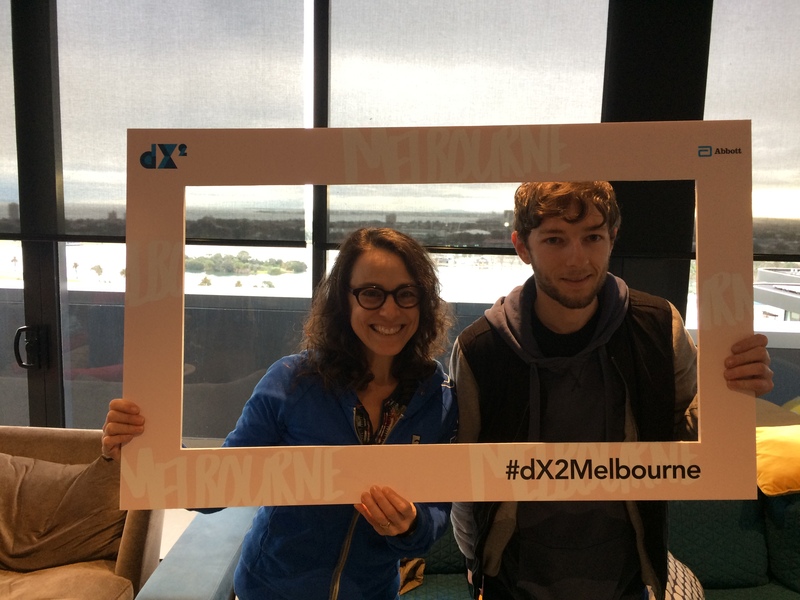 I must admit that I was surprised in hearing psychologist Lisa Robbins express confidence in the abilities of diabetes healthcare professionals to identify burnout triggers, during our live webcast at DX2Melbourne. It’s my view that the right healthcare professional would be able to identify those triggers. In my humble experience, I often felt a lack of emotional support from my endocrinologist and my doctor in my early days of type 1. I never felt that they had the time for me on a busy clinic day, and I didn’t really feel too important when there were younger children and families around who understandably required more attention. It was often hard to open up and be honest with them for fear of judgement. My very first endocrinologist told me that I had very poor control, just weeks after my diagnosis. Meanwhile, my general practitioner often told me that “my sugar levels are too high” without actually offering anything more substantial or helpful. For the record, I certainly don’t expect that an endocrinologist or general practitioner should have to fill the role of a counsellor. They are qualified professionals in high demand. No doubt they have far better things to do with their time than listen to me blubber on about my diabetes. However, I do expect that health care professionals will listen to me. I do expect that health care professionals will make me feel comfortable to open up to them. I do expect that health care professionals will look beyond what’s written on the charts and talk to me about what’s going on. I expect that health care professionals will show some empathy during consultations. And I expect that healthcare professionals will offer support and encouragement. This is not a big ask. This can be done. Even on a busy clinic day. Even when time is limited. Even if you’re meeting me for the first time. Even if you are a general practitioner who is not a diabetes expert. Nobody has to be qualified to be supportive and empathetic, in my opinion. Above all, prioritising emotional wellbeing will assist diabetes healthcare professionals to better address the need for any further psychological support. Emotional wellbeing helps me to see value in my diabetes healthcare team. It encourages me to continue to manage my diabetes to the best of my ability. A good experience motivates me to keep in touch with my diabetes healthcare professionals and to ensure I have my regular checkups. Above all, emotional well being has helped me to prioritise my health. It’s the difference between walking out of the doc’s office holding back tears, or with the biggest grin that I can’t wipe off my face. Obviously, my endocrinologist and general practitioner are only individual pieces of the “emotional” support puzzle in my diabetes care. I have my wonderful diabetes educator, who has my undivided attention during every 60 minute session I have with her. I have my family at home, whom I have learned to lean on a little. There’s the wonderful Oz Diabetes Online Community, who I can hang out with on Twitter every Tuesday night. 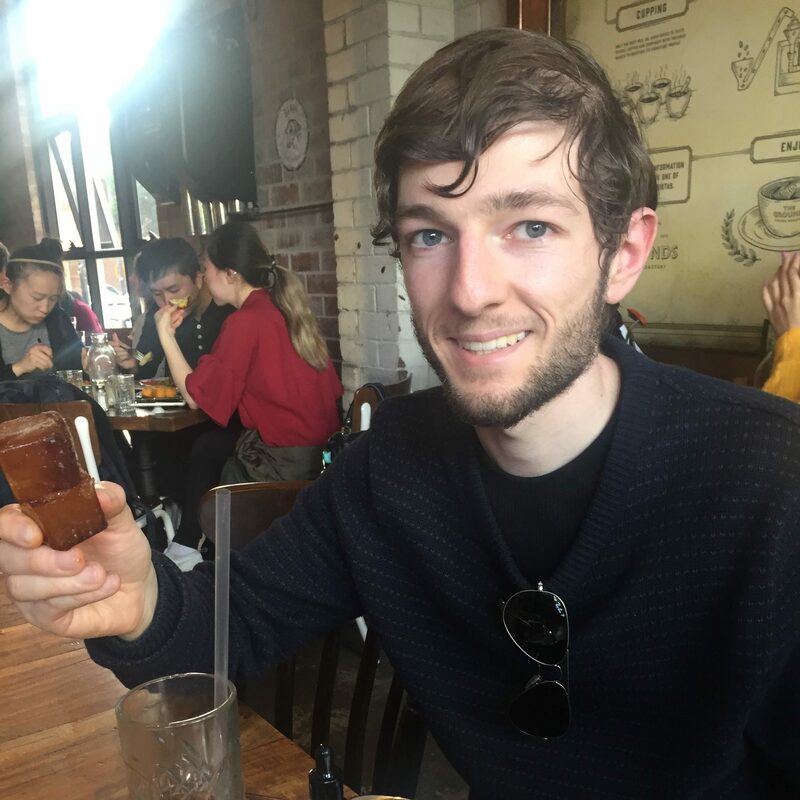 I have my soapbox right here at Type 1 Writes, where I can vent about any topic of my choosing. I also have some amazing d-peeps who I am lucky enough to call friends. Three years ago, I certainly felt very alone with my diabetes. Finding emotional wellbeing has helped me to embrace it. As many of the people around me will attest to, I don’t have a very broad depth of cuisines. I can’t stand recipes that have long ingredient lists, none of which I can ever find in my cupboards and fridges at home. Ingredients which I will have to buy for the one recipe, and have no use for ever again. Over the years, I’ve been well trained to adapt. This Cheesecake has proven to be a winner every time. Even if I am getting accused of becoming a repeat offender, or robbing my Sister of her signature dessert. I must admit that I felt a little hesitant about making this for a group of people with diabetes this week. However at the end of the day, this was me. I simply can’t get my head around artificially sweetened, sugar free or low carb alternatives. People in my type 1 circles rave about some of those options, but I feel they pale in comparison. When it comes to dessert and diabetes, I have one motto. Count carbs. Give insulin. Enjoy every mouthful. Don’t feel guilty for it. If I’m going to do it, I’m sure as hell going to do it right.